This photograph of a small (approximately 1") Arizona Scorpion was found on the side of the trail up Mount Elden in Flagstaff, Arizona at approximately 8000 feet elevation. 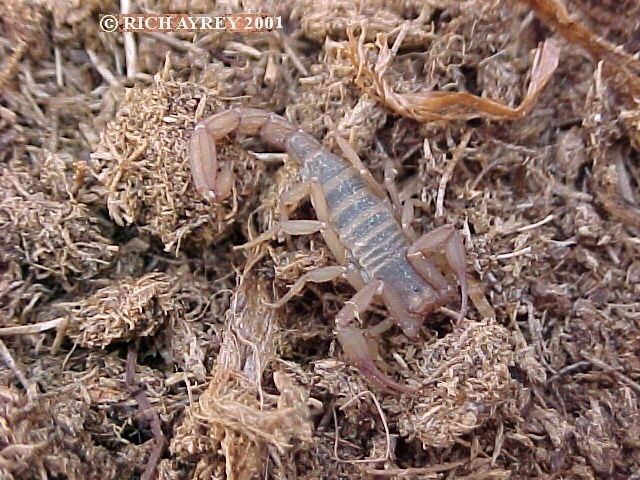 This Vaejovis lapidicola is the first scorpion I have seen in Flagstaff in the 30 years I have been looking here. Most people would think it was too cold here for scorpions in Flagstaff. 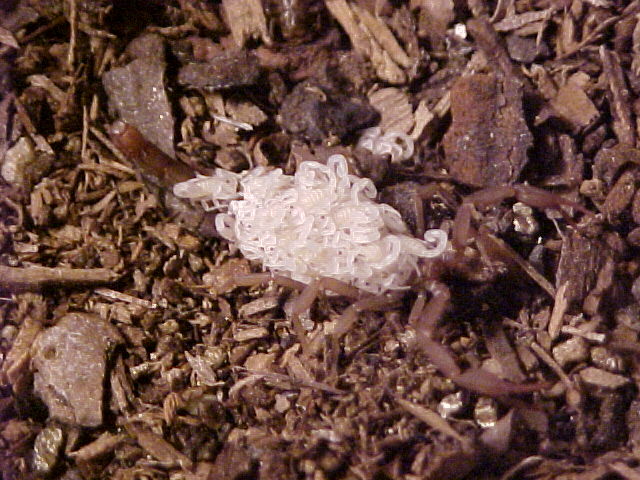 Vaejovis lapidicola was described from a specimen found in Flagstaff in 1939 by Herbert Stahnke. Download a recent paper on Vaejovis lapidicola here. 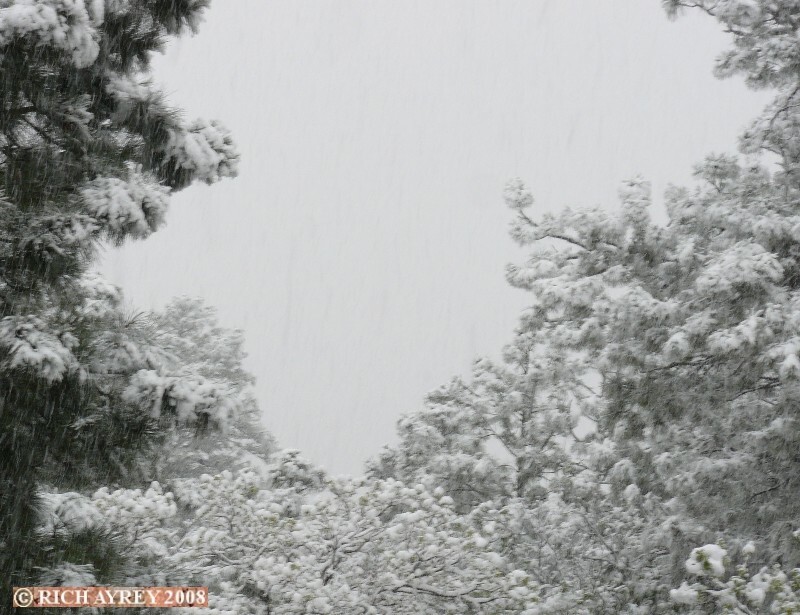 This photo was taken on the morning of 23 May 2008. The habitat of Vaejovis lapidicola is in the center of the pic, in the "White Out". Not what you would expect for your typical scorpion habitat? This site copyright Rich Ayrey 2001-2013 Flagstaff, Arizona. Close to the Grand Canyon. 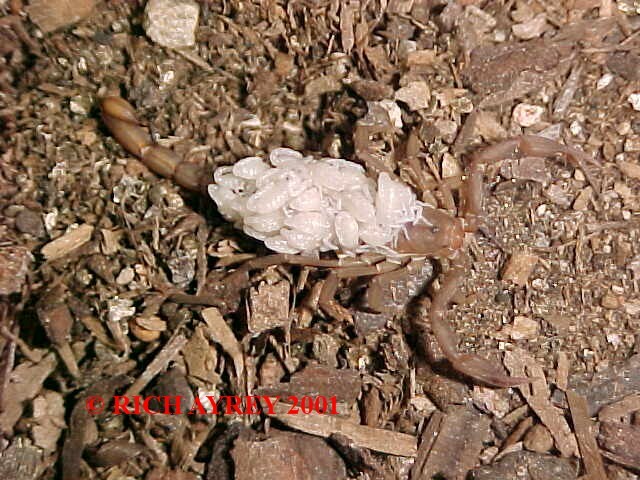 This Arizona Scorpion World page created 11/02/2001.